There is a lot of talk these days about the value of probiotics. Probiotics are the “good bacteria” that are naturally supposed to live in your gut. There are literally hundreds of strains of these bacteria, and they play an important role in immune function, weight loss, vitamin status, detoxification, absorption and digestion. When you take antibiotics, they clear out the “bad bacteria” in your gut, but they also clear out the good bacteria, and like every other system in the body, it is vital that you maintain balance in the gut. You need enough good bacteria in your gut to prevent bad bacteria from taking hold and causing symptoms. This bad bacteria can take many forms which can cause a wide range of symptoms such as a cold gas, bloating, fatigue and many others. In my practice, one mistake I often see patients making is taking too much of one strain of a good bacteria, like acidophillus, to the exclusion of other good bacteria like Lactobacillus GG and sacharomyces. When I test their levels of probiotics in their gut, I find that they have an overgrowth of one strain. So again, it is about balance. If you take a probiotic, rotate which one you take, about every three months. Some of my favorites include ABX Support (especially if you are taking or have recently taken antibiotics), Probiotic Pearls and Culturelle. Here’s to a healthy and happy gut! This entry was posted on Friday, August 29th, 2008 at 7:00 am and is filed under Diet and Disease, Nutritional Supplements and Disease, Prevention, Toxins and Detoxification, Weight loss. You can follow any responses to this entry through the RSS 2.0 feed. You can leave a response, or trackback from your own site. 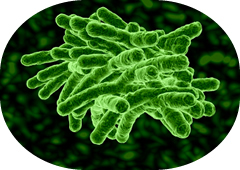 Dr. Gina– Please check out my blog on probiotic supplements at http://www.truthaboutprobiotics.com. Thanks. Hi It’s a wonderful post. You have gained a new subscriber. The clearness in your post is simply spectacular and i can assume you are an expert on this subject.